A lazy Sunday morning. A pile of teenage girls asleep on the couch. Hindu Holiday awaiting them. The smell of snow. A hot cup of coffee for me and steak and eggs for the boy who stayed up all night and has a soccer game to play. 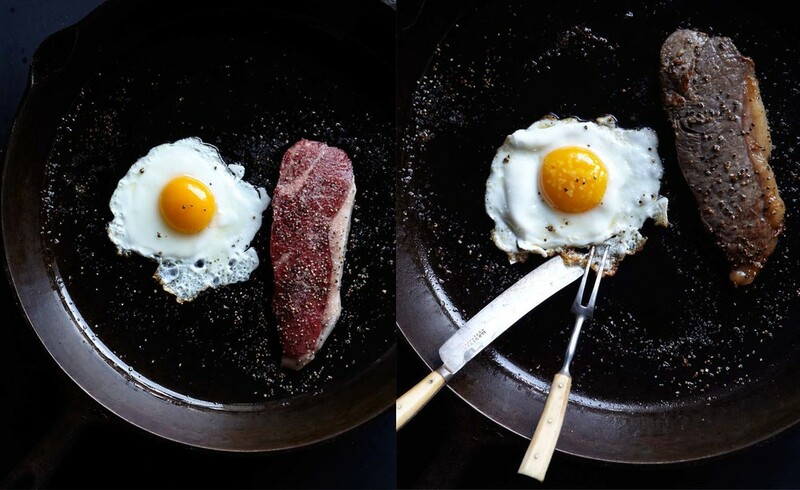 One cast iron pan I cannot live without. Bring on this day.